Phew summer is passing us by quickly! Cross Country Cafe has been very busy with the transition to iced coffees and teas during these warmer weather months. Of course we want you along for the ride. 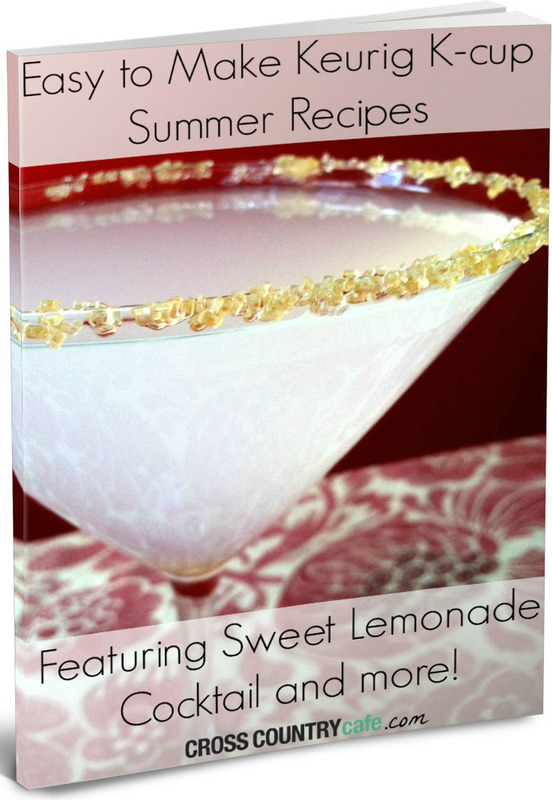 What better way to continue this wave of iced beverage frenzy than a summer recipe ebook! Our ebooks have been extraordinarily popular in the past. Readers love these things- why wouldnt they, the recipes are delicious and they include an exclusive money saving coupon. Affiliates love them even more because it is quick easy content that provides high click through rates with a 45 day cookies! But, wait there is more! The book includes a coupon for 10% off Brew Over Ice K-cups- BUT if you download and shop on or before Friday July 4th, the coupon will double to 20% off! Free Keurig K-cup recipe ebook exclusive money saving coupon included! Next articleKeurig K-Cup Closeout Sale!